The first Lighthouse on Bidston Hill was built in 1771, further from the body of water it lit than any other lighthouse in the world, ever. The octagonal tower housed a massive parabolic reflector, twelve feet in diameter, developed at the Bidston Signals Station by William Hutchinson, Liverpool Harbour Master and one-time privateer. 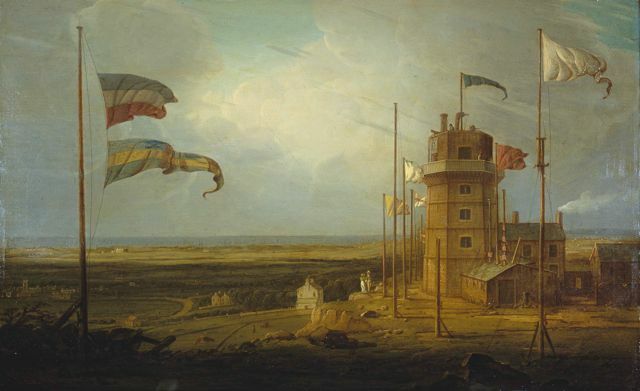 Bidston Lighthouse by Robert Salmon, Oil on Canvas, 1825. Courtesy of National Museums Liverpool. 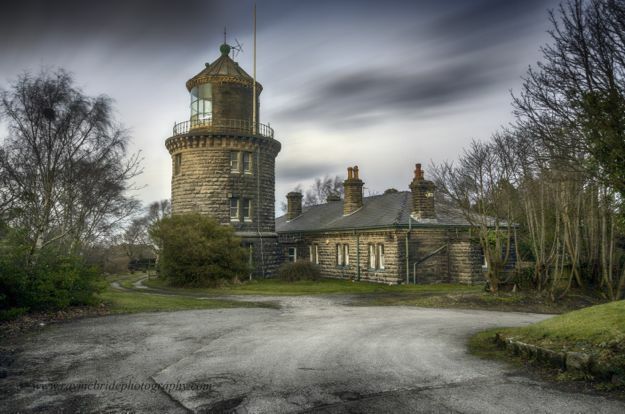 The present Bidston Lighthouse was built by Mersey Docks and Harbour Board in 1873, to a design by George Fosbery Lyster. It served as Liverpool’s principal lighthouse until 1913, and as an electric telegraph station until 1914. The building is Grade-II listed, privately owned and frequently opened to the public. Bidston Lighthouse, January 2015. Photograph by Raymond McBride. 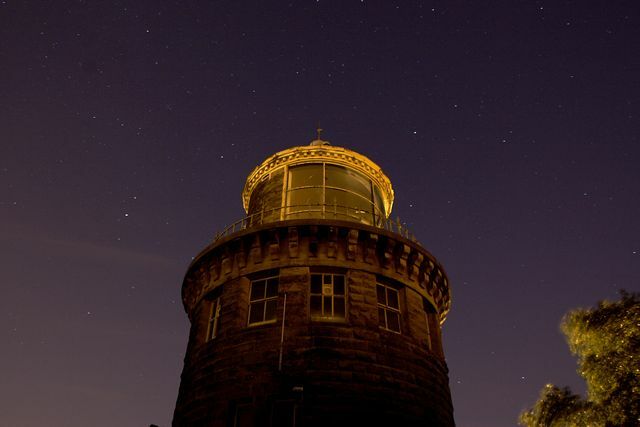 Bidston Lighthouse at night. Photograph by Michael Vicente.